An iconic Melbourne gastro pub has been part of the North Fitzroy community fabric for almost 150 years. At the heart of the craft bar and beer garden is 16 rotating craft beer taps that match perfectly to our asian-inspired delicacies. Think crispy pork belly, fresh salads and steamed bao (not to mention pub classics including Melbourne-renowned burgers and parmas). Open for dinner every night from 6pm and lunch on Saturdays and Sundays, enjoy a seasonally-focused menu in the warm and inviting dining room. Head chef, Damon Philippakos has crafted a gastro-pub menu with an emphasis on sharing dishes and high quality steaks. We're talking the finest grass and pasture fed beef Victoria has on offer, plus a carefully curated wine list. Ask our friendly staff for the ideal wine to match your dish. With 16 beers on tap and fridges full of bottles, we feature the best beers on offer from Australian and overseas microbreweries, often including extremely limited releases and brewery showcases. Not sure which tap beer to choose? No problem, the friendly bar staff will be happy to offer you a small taste to help you decide. And check out our beer wall. An awesome range of beers from around the world. 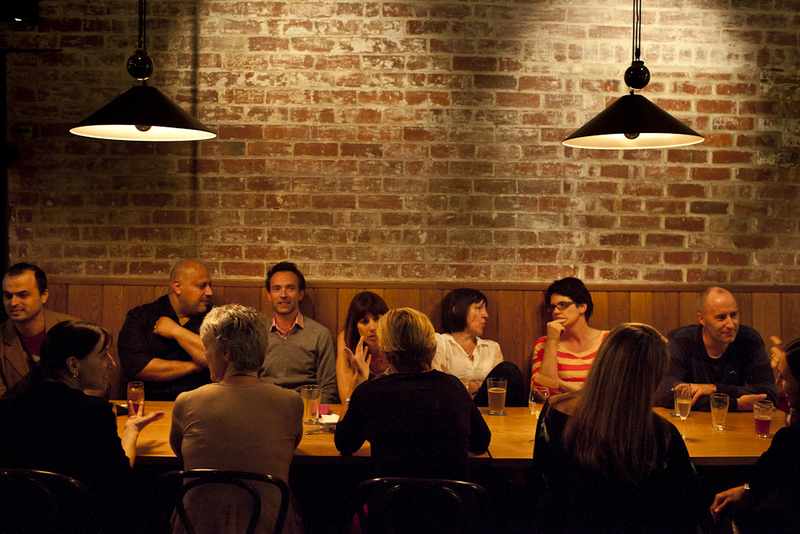 The Termi has a number of multifaceted function spaces Melbourne. Situated only 12 minutes drive from the Melbourne CBD, there is ample parking on-site and on the street. We are less than 10 minutes walk from Clifton Hill and Rushall train stations and the Number 86 tram (from Bourke Street) stops right outside the hotel. Our intimate function spaces are available 7 days a week for a variety of occasions and events. Your group's function can be accommodated in our upstairs function room, the dining room or in the craft bar. Our food and beverage packages are very competitive and we will look after you with traditional Terminus hospitality. For bookings in the dining room please call 9481 3182 or make a booking below. "...when it comes to the food, wine and atmosphere trifecta, the Terminus confidently delivers"
A crisp pint, a good “eat with your hands” meal and the footy are a given at northside stalwart The Terminus. But this historic alehouse is more than meets the eye, almost three venues in one. "A highly rated dining room, a choice of old and new school beer bars, a beer garden, top beer food, a sports bar that means those who don’t like sport needn’t be bothered by it, and well-priced, heavily rotated craft beer. What’s not to like!"